The only thing that is consistent in business, is that nothing is permanent. With LinkedIn not much of the platform has been permanent in terms of functionality in 2015 and now into 2016. LinkedIn invitation messages have been updated again not allowing us to see any personalized message someone might have sent. For those of us who are LinkedIn speakers and trainers we teach people that the invitation message process is very important to your success and to stand out from those who send the default invitation. Letting people know why you want to connect with them is step one in the relationship building process. The latest change by LinkedIn has done away with the message bubble when you hover over new invitations from the pending invitations area. 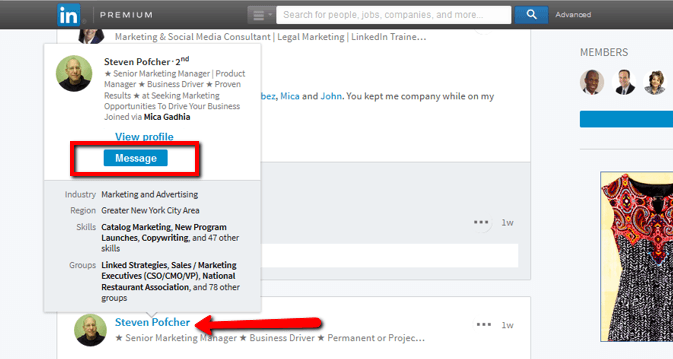 When you put your mouse on the message bubble you saw the personalized message, conversely if there was no message bubble then the person sent you LinkedIn’s default message. Now that the bubble has been removed we don’t know if the invitee sent you a personal message or not. I still am receiving emails from LinkedIn with the subject line of the email: JoAnne, please add me to your LinkedIn network so be sure you continue to watch you email notifications from LinkedIn. Within the message there is no custom text even if the person sent it to you so I recommend you do not blow people off at this point because you don’t know who they are or because you were accustomed to getting a personalized message in the past. Now you will have to get in the habit of asking questions if you choose to accept the invitation. #2 – Always review LinkedIn profiles. Don’t make a decision about someone anymore until you have reviewed their profile. I have always adopted the philosophy that I will read a profile to discover who the person is before just accepting or ignoring them. I remind you that LinkedIn is a professional networking platform and in the true spirit of networking I encourage you to give people the benefit of the doubt before ignoring them. You should create your own set of criteria on who makes a good connection for you and who does not. There are the obvious things such as no profile picture and an incomplete profile that will prompt me to ignore. I have also been invited to connect from people in other countries who are web developers, SEO professionals and the like who from my experience don’t build relationships because often their first message is a sales pitch for their services. Look to see the mutual connections you share with the invitee, this is often a clue as to who they are. In they are in the same circles as you, then I would accept their invitation and ask them more. 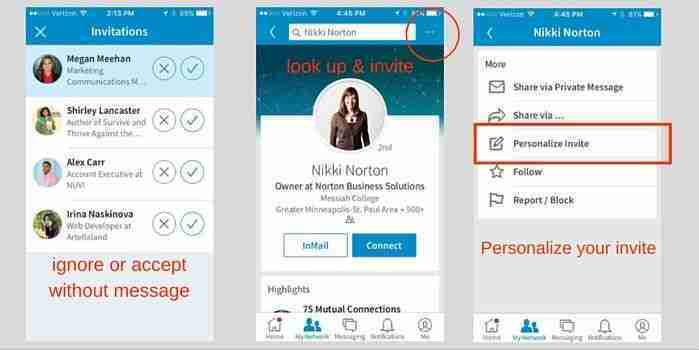 With over 50% of LinkedIn users on mobile you too should have the app by now. The functionality of mobile is different than desktop so be aware of that. I believe that the mobile applications will become more robust in the future with the rise of mobile use in general. So watch for the updates! You can send a personalized invitation if you know the extra steps in the process. When you look up a person’s profile, look for the three dots (…) to the right of the search box and click on those dots. You will see a screen that has the person’s name at the top and more options for connecting. Note you can choose ‘Personalize Invite’ to send that person a custom note before you actually send the invitation which is ideal in starting the relationship off in a positive manner. Remember, first impressions do matter because that first impression is often digital versus in-person. When someone sends us an invitation we will view their profile if you follow my direction notes above. This means you want a stellar profile so that first impression you give is ideal. I know you have heard this over and over again, but it always bears repeating because there are newbies to LinkedIn and other professionals just getting active and want to learn to be savvy users. There are still professionals that think because they have a job there is no need to update their LinkedIn profile and that could not be further from the truth. In my article LinkedIn Profile Tips to Boost Your Professional Reputation, I ask if your profile picture was taken on your last vacation! The goal of your photo is to connect a face to a name. With so much being done online from business to dating, we all have had the experience of meeting someone for the first time and they don’t look at all like their LinkedIn profile picture. Not only does the profile picture matter in a first impression so does the body of the content. Do you have a summary section that tells your career story that is so interesting it encourages people to accept your invitation and engage in conversation with you? Is your first impression of the person credibility, has experience and is connected? Are they a leader in their field, are they someone who merits your time in learning more about them? #4 – Message people via a group before sending a LinkedIn invitation message. If you have joined some LinkedIn groups and I hope you have because they are a great place to network and build influence. In groups you still have the ability to message people within the group without being connected to them. Why would you want to do this? Because you may want to engage with those within the confines of the group conversations but may not want to build a network of these folks. This is can be the case when you are in a group with colleagues in the same business as you and the group is about sharing ideas. It makes sense that you might want to send them a personal message about something – and I encourage you to do so. Getting to know people is the first step in the process of connecting on LinkedIn. Nurturing your new connections is what builds trust and people do business with those they know and trust. 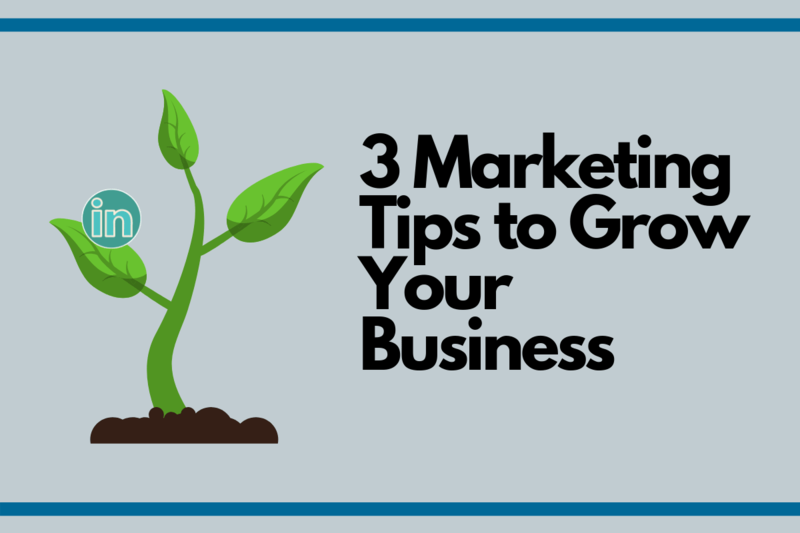 This is a long-term strategy in your marketing process so be patient and consistent because this does work. The process of building relationships and being a valued connection is part of the social selling process. I encourage you to get familiar with this because this process if how selling has changed. Once they accept your invitation send a thank you message. Be personable in your messages. 2. Create a series of connecting emails that are interesting, inquisitive and are designed to build your relationship. Get personal, find ways by reading their entire profile. What do you have in common? What do you find fascinating about them? Do they have unique hobby? 3. How can you deliver value? People want to know you listen and care. Practice being mindful – pay attention & build a personal people to people connection vs. a stalking stranger who wants to sell something. – Are you a podcast listener? If so will you share your favorites? – What publications do you read that you find value in? – What conferences do you attend? Or do you recommend I attend? Follow-up email might include sending article or something they would find useful such as a free report from you that would be relevant to them. Stay top of mind with prospects by watching to see what they post and be intentional about making a comment. Be sure to @tag them. Do NOT just give the thumbs up/like. LinkedIn social selling will help you create better relationships, drive better results! LinkedIn invitation messages may continue to evolve as does the LinkedIn platform itself. I believe what we need to take away from this article is personalizing communication is what counts. Anytime you can be personal, find things in common, show you are genuine in your communication and be consistent in follow-up is what ultimately results in success. It is that first impression we give that someone remembers from us and will be more willing to receive more from you if you started off on the right foot from the beginning.